OHOP’S Buffalo Chicken Pizza Satisfies on all Levels. Home /Culture/Reviews/Food & Wine/OHOP’S Buffalo Chicken Pizza Satisfies on all Levels. When you think of a standard buffalo chicken style pizza, you probably imagine something that is loaded with a variety of ingredients like bleu cheese crumbles, sliced tomato, hot sauce, and chives. Put all of these together and you have a pizza that is elegant and tasty but ultimately feels a bit unnecessary. This is not the case with OHOP’s take on this popular pie. The thing that makes OHOP’s buffalo chicken pizza so amazing is its simplicity. The pie isn’t populated with anything that it doesn’t need. It has the dough, the red sauce, and the mozzarella cheese, topped off with generous chunks of buffalo chicken tenders. It’s essentially a regular cheese pizza with a buffalo chicken topping. This simple, yet effective and delicious, recipe makes this pizza stand apart from others like it. It gives you everything you want and nothing that you don’t. The dough isn’t too thin or heavy and has a nice crunch to it. The red sauce is tangy but doesn’t overpower the rest of the pie. The mozzarella cheese is distributed evenly throughout and the buffalo chicken tenders have the perfect level of heat and flavor, spicy, but not too hot. Although it’s a fairly simplistic pizza, OHOP’s buffalo chicken pie is actually quite filling. A small can easily accommodate two people and more than satisfy one, while a large is perfect for a small group of three to six. The price is also pretty good, coming in at $9.95 and $16.95 for a small and large respectively. This makes it a great tasting and affordable option for date-nights, football parties, group projects and for those times when cooking or going to the dining hall isn’t in the cards. Not to mention that you can substitute the red sauce for bleu cheese or ranch if you want. OHOP offers a lot of delicious pizzas but the buffalo chicken is one of the absolute best. It’s delicious, filling and is perfect for a multitude of occasions. 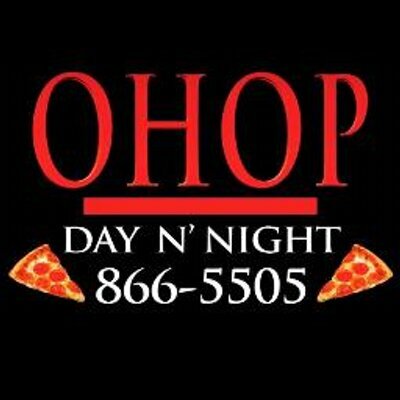 If you like pizza, buffalo chicken and an all-around great deal, then you should check out this fantastic pie the next time you visit OHOP. It satisfies on all levels. OHOP is located at 154 Park St. in Orono.